When the fifth generation of the Jeep Cherokee vehicle was first introduced at the 2013 New York International Auto Show, the reception towards the model’s exterior design was controversial to say the least. The elongated, narrow front and squinting headlights of the model weren’t well-received when Jeep enthusiasts first saw them. Nearly five years later, that lukewarm reception really hasn’t changed at all. Therefore, most Jeep enthusiasts will certainly have something to look forward to at next month’s North American International Auto Show in Detroit, as Jeep will debut a more conservatively-designed 2019 Jeep Cherokee during the event. In the meantime, Fiat Chrysler has released a series of images that showcase the Cherokee’s new look. 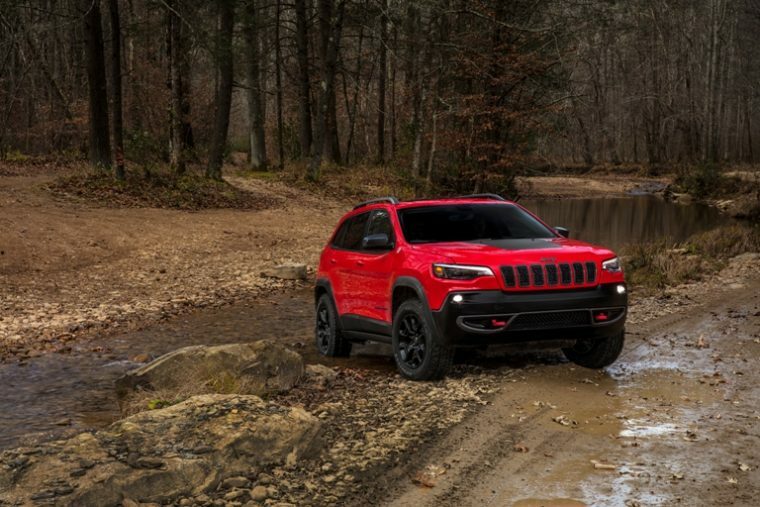 Enthusiasts with a keen eye to details will find a lot in common when comparing the Cherokee’s new design to that of its larger cousin, the Jeep Grand Cherokee, as well as the recently-redesigned Jeep Compass. Like many automakers, Jeep is currently working to create a common design portfolio for its entire lineup. While still somewhat narrow, the headlights on the 2019 Jeep Cherokee will be significantly larger than their current form. Furthermore, the daytime running lights and main projectors look to be combined into a single unit once again, whereas the two lighting components are separated in the Cherokee’s current design. There’s a lot more emphasis placed on the signature seven-bar Jeep grille up front, with some of the more angular shapes of the current Cherokee removed from the design. 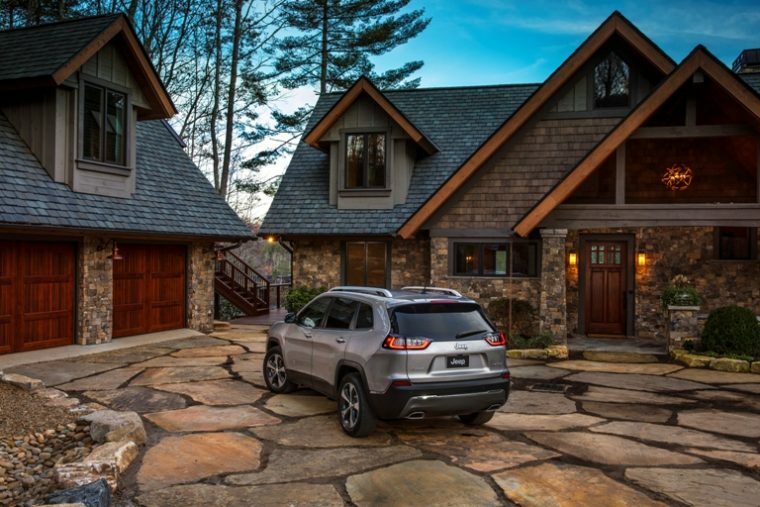 As for the vehicle’s back, dynamic diagonal lines give the Cherokee a sportier appearance, while its taillights resemble those found on Jeep’s other models. In regards to the Cherokee’s interior, not much has been altered for the vehicle’s cabin. Of course, that wasn’t the area that most drivers had a problem with, so it’s not at all surprising that it remains relatively unchanged. Jeep hinted at a more fuel-efficient powertrain for the 2019 Cherokee in its initial press release for the SUV. 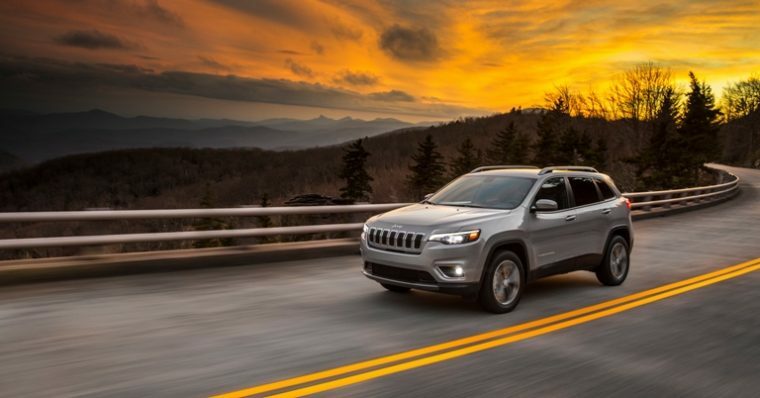 For more information on that powertrain, as well as the 2019 Jeep Cherokee’s price and release date, Cherokee fans will simply have to wait until its official debut on January 16 at the North American International Auto Show.